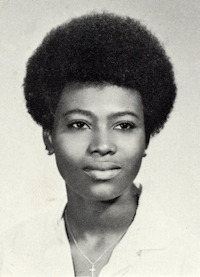 Obituary – Johnson, Marilyn Nadine « Perry High School Alumni Association, Inc.
Marilyn Nadine Johnson, 57, of Perry, Oklahoma, passed from this life on Monday December 7th, 2010. Marilyn grew up in Pawnee, OK and graduated from Perry High School. She served in the United States Army from 1980 to 2002. Marilyn worked at Norace State School in Enid, OK. She was attending Langston University in Langston, OK. Marilyn Nadine Johnson enjoyed making doll houses and spending time with her family. 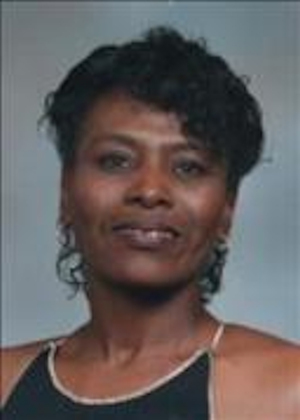 Marilyn Nadine Johnson is survived by her sons, Garrick Clardy and Hebron Harper III. Brothers, Richard Tubbs, Curtis Swan, and Kendall Swan. Sisters, Linda Atkinson, Karla Swan, and Gwen Tubbs. 10 grandchildren. Marilyn was preceded in death by her parents Lula Tubbs and Harvey Johnson, her brothers Carlos Tubbs and Russell Johnson. A memorial service for Marilyn Nadine Johnson will be held at the First Baptist Church in Perry, OK, at 2:00pm on Saturday December 11th, 2010. Memorials can be made to Perry Funeral Home to contribute to Marilyn Johnson’s Final Expenses. Services have been entrusted to the care of Perry Funeral Home of Perry, OK.